Hamilton’s first three books were comparatively simple tales mixing the traditional detective novel with some additional Science Fiction content. Hamilton's next series was the “Night's Dawn Trilogy”, a daring mix of space opera and supernatural horror with a huge cast of characters and complex intertwining plotlines spread over several thousand pages. The setting is the 27th Century, Mankind now inhabits over 600 star systems and has made some important scientific discoveries that have had far-reaching consequences. Humanity is divided into two groups – the Adamists and the Edenists. The Edenists are a utopian culture that dwell in living sentient space stations called 'habitats', the Edenist’s defining feature is the use of a genetic enhancement known as 'affinity'. This affinity allows Edenists to communicate telepathically with each other over long distances, and also allows them to share in a community mind which forms their government. Upon their death their personality becomes part of the habitat, in effect they never truly die. Because of their increased empathy the Edenists have an amazingly peaceful culture with minimal conflict. The Adamists make up the majority of humanity, who are basically a more advanced version of 21st Century humanity, some of them believing that the affinity gene is immoral and inhuman, and it is banned in Adamist society. Although the differences between Adamist and Edenist cultures are intriguing and are mentioned repeatedly throughout the trilogy, they are merely part of the background, the main plot kicks off on a newly-settled colony planet called Laalonde. Quinn Dexter, a vicious criminal and member of a cultish Satanist criminal organisation, is sentenced to work as an indentured labourer in a remote settlement on the colony planet. After an accidental encounter with an alien entity, he unleashes a deadly plague onto humanity – the 'Reality Dysfunction' that provides the title of the first book in the series. The alien he encounters has inadvertently opened a gateway into a dimension where the spirits of dead humans dwell. These spirits can re-emerge and take possession of human bodies, overwhelming the original personality, giving their unwilling host new powers – making them unnaturally strong and giving them seemingly supernatural powers. As the Possession Crisis spreads off Laalonde and is carried by highjacked starships onto other worlds, the rest of humanity must struggle to understand, and contain, this menace. There are a number of plot threads, each with their own main character. The most prominent follows Josua Calvert, the owner-pilot of the 'Lady Macbeth', a small spacecraft that he uses for (occasionally illegal) interstellar trade. 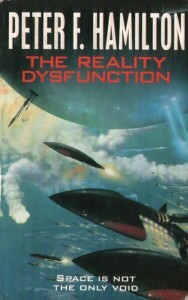 Other major characters include Syrinx, an Edenist captain in the Confederation Navy, the aforementioned Quinn Dexter and Louise Kevanagh – a young woman from the pastoral planet of Norfolk who is seduced by Josua, and later has to deal with the consequences of the Possessed landing on her planet. The books are notoriously large, to the extent that the 'Hamilton' has been jokingly referred to as a new measurement for the length of a science fiction novel – with one Hamilton equal to a thousand pages. 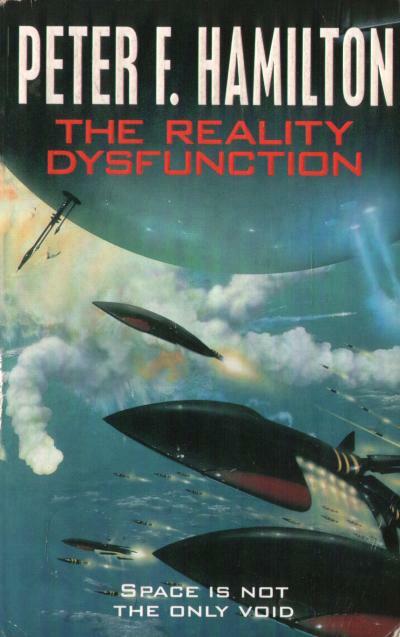 There are too many plots to summarise them all – the main plot deals with Josua and Syrinx's efforts to try to find a way of stopping the possession crisis, which they eventually conclude may involve travelling to an area of space controlled by the Tyrathca – a race of highly-private hive-mind aliens – in a search for a weapon to use against the Possessed. Other plots deal with the spread of the Possessed and the crises that arise on various worlds as a result of the Possessed. 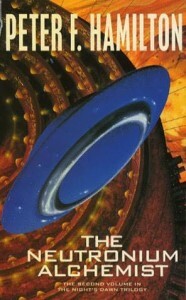 Less closely related is the plot that takes up a significant portion of the second book, the “Neutronium Alchemist”, a weapon with the power to destroy a star that a rebel scientist is now trying to recover and use as a revenge for the destruction of her home planet by another star system, with the Possessed also trying to get hold of the weapon. Another major plot thread deals with the independent habitat of Valisk – ruled by Rubra, a rogue Edenist who, at the moment of his death, uploaded himself to take sole control of his habitat which he now rules as a dictator. One of his disillusioned descendants sees the Possessed as a means to overthrow Rubra's control. The plot is sprawling, with a cast of thousands and a multitude of intertwining plot threads. Despite this, Hamilton's clear and reasonably concise writing style makes for fast-moving action and intrigue that is usually interesting and never difficult to follow. The technological underpinnings of the story would not be out of place in a pure hard-science fiction story. His technology is believable and well-described and the impact of the technologies – particularly the Edenist's affinity – is an important part of the background. 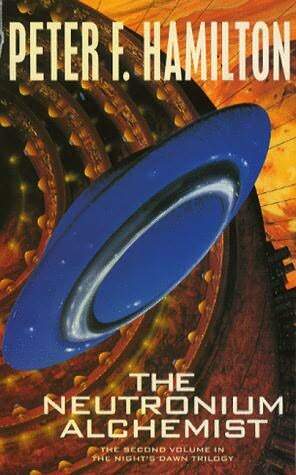 The cultures of the various planets are varied and plausible, and although the alien cultures – the belligerent Tyrathca and the mysterious Kiint – are not the focus of the story they are still better developed and more convincing than the alien cultures in a high percentage of the science fiction novels published. Hamilton is also excellent at writing the (frequent) action scenes – whether they are from the science fiction or supernatural horror genres. The space battles are exciting, and Hamilton seems to take unusual effort to consider the physics of space combat and come up with a plausible system of combat. At first, when the nature of the Possessed has not been fully revealed, the scenes where they convert new victims are particularly nightmarish. Later on, the impact wears off slightly, but the idea of foreign spirits taking over human hosts remains unsettling. The serious, convincing science fiction background makes an unlikely combination with the lurid seemingly-supernatural horror, but it works surprisingly well. The basic premise is admittedly quite outlandish and requires some suspension-of-disbelief but for the first two books the clash of genres is effective as long as you can accept the existence of the Possessed. 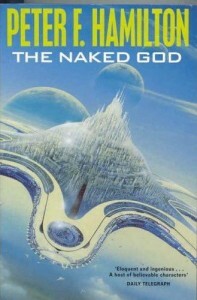 Unfortunately, in the last book of the trilogy, plausibility takes a big slide and the levels of suspension-of-disbelief required for some sub-plots gets unnecessarily high, especially concerning the increasingly tedious Valisk sub-plot and the unlikely number of coincidences creeping into the story. The other major plot problem concerns the ending, Hamilton lamentably choosing to tie up all the loose ends with what feels very like a huge deus-ex-machina. The ending does make sense, and it is foreshadowed as early as the first book (so not technically a deus ex machina, but it is still disappointing that Hamilton seemingly couldn't resolve all the plot threads without resorting to such a contrived plot device, especially since other parts of the third book suggest other ways of resolving the main plot that might have made for better endings. Nevertheless, despite the disappointment of some of the third book, this is still a highly-entertaining and imaginative series that is virtually unmatched in its ambition and scale. If you can accept the basic premise then the first two books (and some of the third) are superb entertainment, with a fair amount of depth and originality in addition.